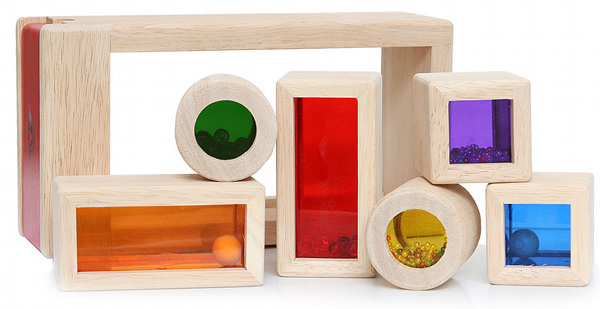 A multi-sensory experience, these stunning blocks will capture their attention with both beauty and interactive play. 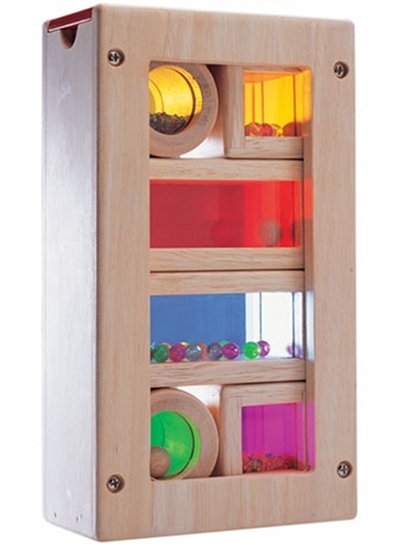 The stunning Rainbow Sound Blocks by Wonderworld appeal to the senses of touch, sight and hearing with six wooden boxes containing different objects. Children can see through the coloured perspex fronts, sit them together to make different colours and shake them to make sounds. These blocks make a wonderful gift for both young children and those with special needs, providing a variety of gentle, stimulating activities. They’re made from eco-friendly rubberwood and Wonderworld plants two trees for every tree used in the production of its products. Now there’s a commitment to the planet! Buy for $59.95 a set which includes the beautiful storage box, from Urban Baby.